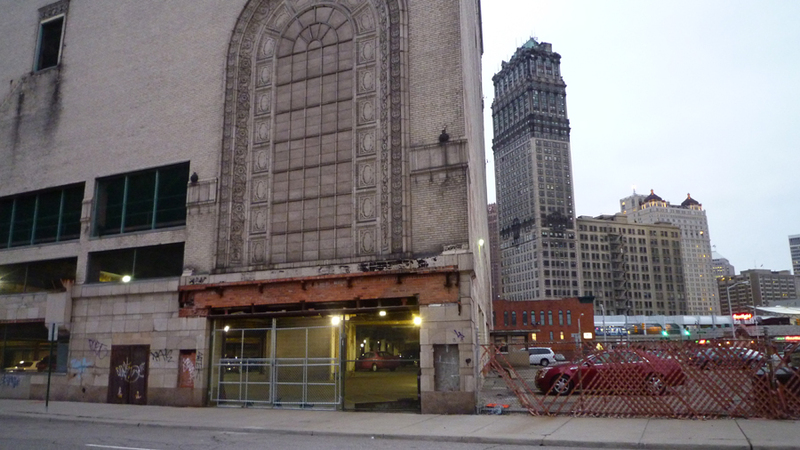 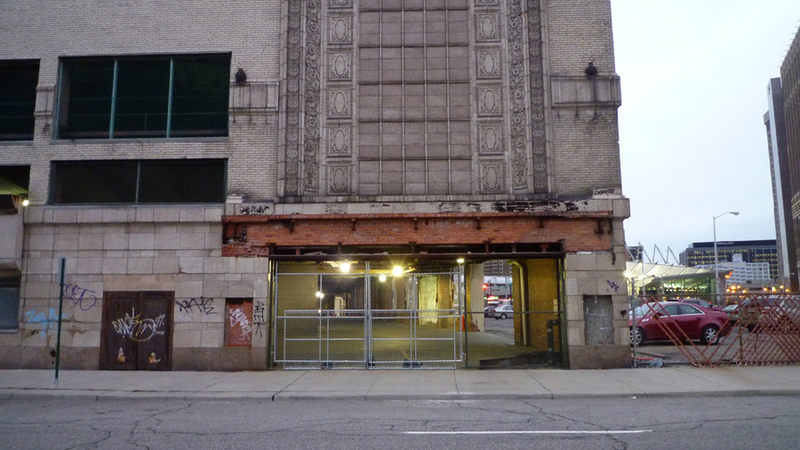 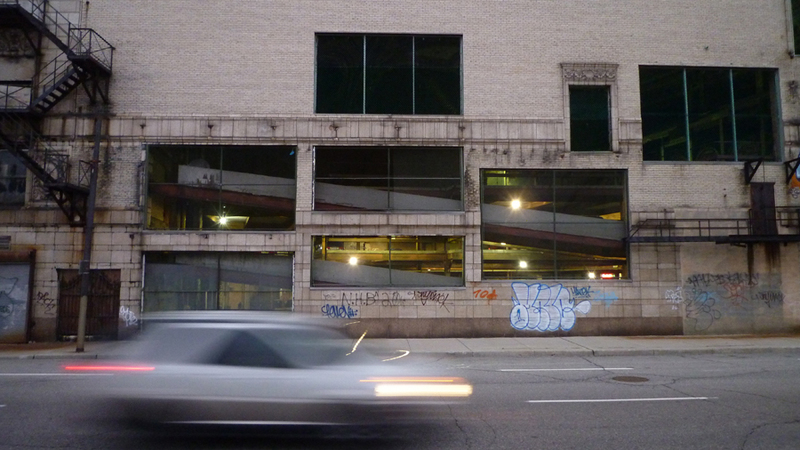 a fantastic example of palimpsest architecture, the Michigan Building in Detroit, Michigan is a known landmark of bare bone theater architecture transformed into a parking structure. 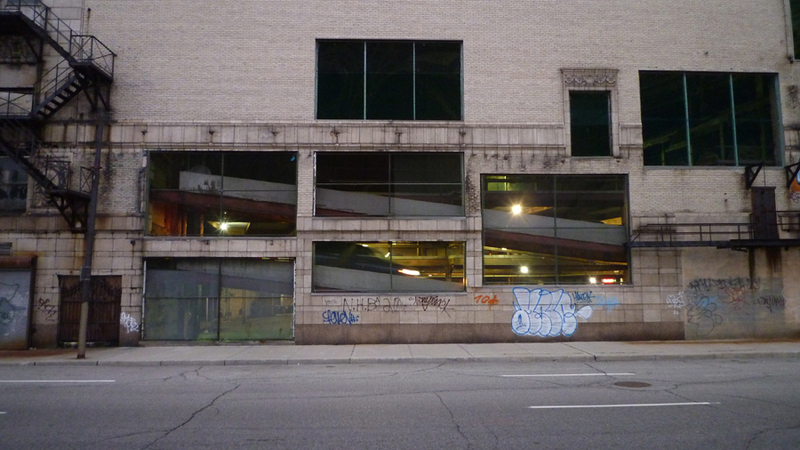 previously housing the Michigan Theater, this three level parking structure sits within the skeleton audience house offering new proximities to the main stage and what remains of the balcony seating. 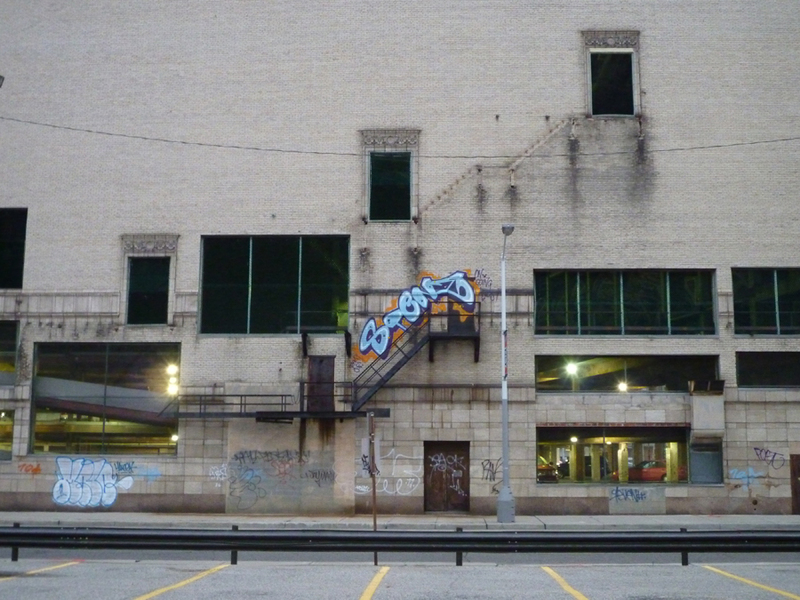 Kent Kleinman and Leslie Van Duzer provide context and background to this beautiful mash-up in their “Detroit’s Michigan” article published in Stalking Detroit (Barcelona: ACTAR, 2001). 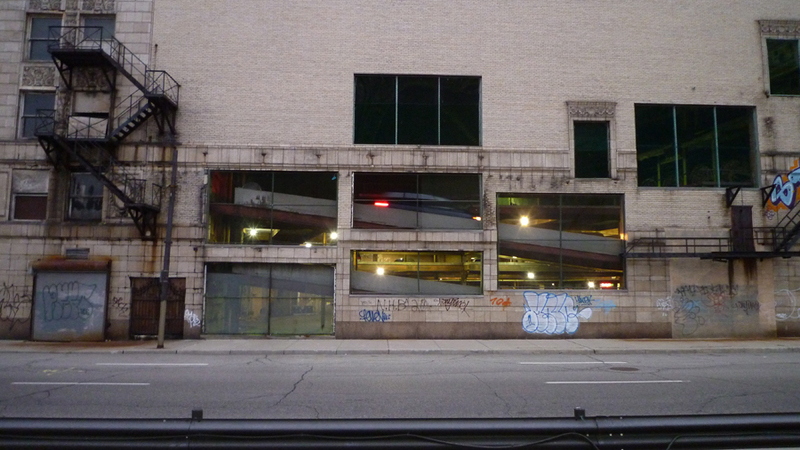 or if in LA, look for the reprogrammed grand theater space, now an indoor market, in the Broadway theater district of downtown Los Angeles.